The subject of cartel formation arises when talking about an oligopolistic (a few powerful firms) market structure. If these firms collude and coordinate all business decisions, then a cartel is formed. The cartel acts like a monopoly as it controls the price and output in the industry. It's highly inefficient, the consumers lose, and the cartel's profits rise. OPEC is a cartel. How do you sketch the cost curves of a firm? 1. The marginal cost (MC) curve looks like a check mark (or Nike swoosh) because of the law of diminishing marginal returns. 2. 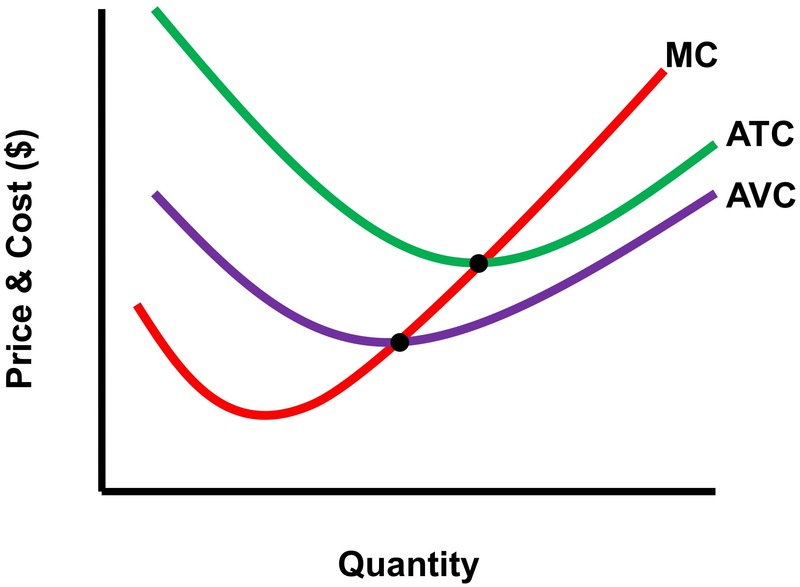 The average total cost (ATC) curve is u-shaped and must intersect the MC curve when ATC is at its lowest point. 3. The average variable cost (AVC) curve is also u-shaped, but must be below the ATC. The AVC will intersect the MC curve at the AVC's minimum. The distance between the AVC and the ATC should narrow as output increases because this distance represents the firm's average fixed costs. This No Bull Review graph shows what the ATC, AVC, and MC look like. Always begin by drawing the MC curve first. 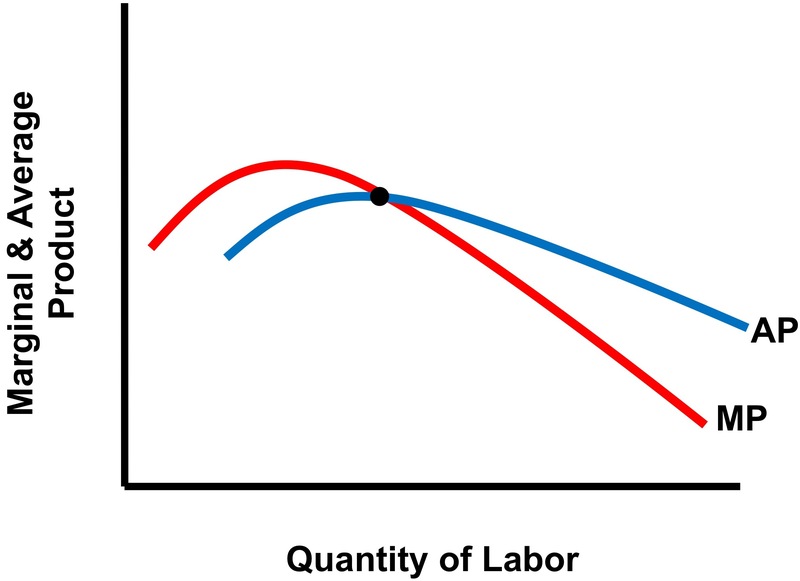 How do you graph a perfectly competitive firm earning short-run economic profits? When graphing perfect competition, it is a good idea to graph the market and firm side-by-side so that the market equilibrium is lined up with the firm's horizontal marginal revenue curve. The market (industry) graph is a simple supply and demand graph. 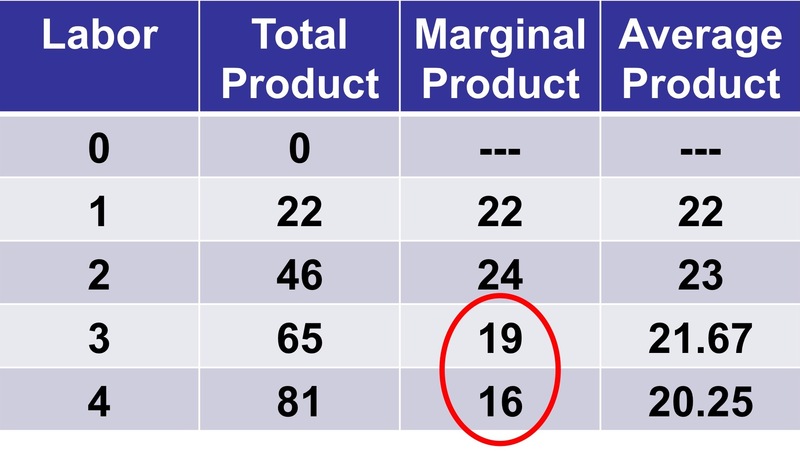 For the firm, the price equals the marginal revenue equals the marginal cost output point must exceed the average total cost curve. This No Bull Review video shows you how to draw correctly labeled graphs for perfect competition. What are the effects of a per-unit tax? When the government imposes a per-unit tax, marginal costs increase and supply shifts to the left. The producer and consumer both share the burden of the tax. As a result of the tax, the producer surplus and consumer surplus decrease. Assuming no externalities, the tax creates deadweight loss (inefficiency). The No Bull Review diagram below illustrates the effects of a per-unit tax. 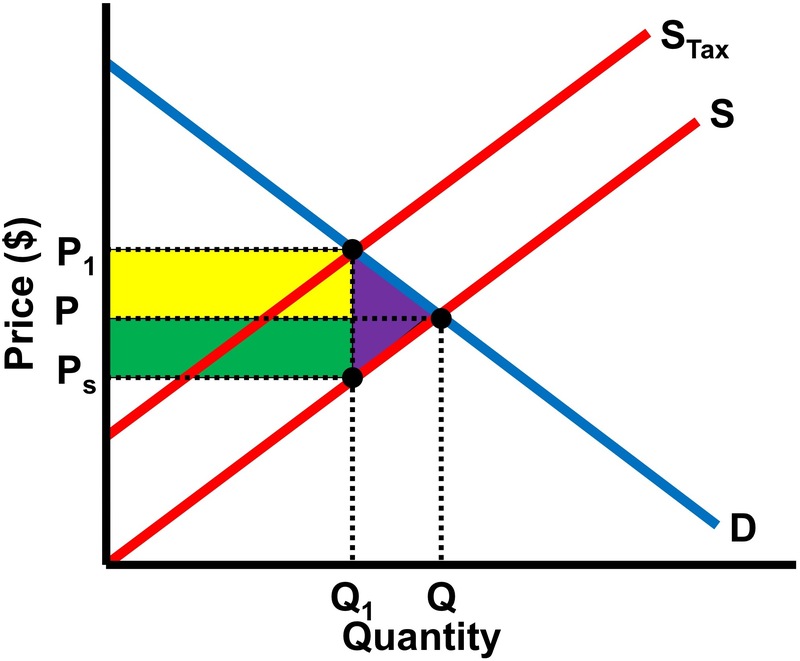 P represents price before the tax, P1 is the price after the tax, Ps is the price the seller receives. The yellow region is the part of the tax that the buyer pays to the government and the green region represents what the seller pays to the government. Yellow region + green region = total tax revenue. The purple region represents the deadweight loss. What are the characteristics of a public good? 1. Shared consumption (non-rivalrous): one person's use of the good does not prevent someone else from using it. 2. Non-exclusion: cannot restrict anyone from using the good. What is the relationship between elasticity of demand and marginal revenue? When marginal revenue is greater than zero, demand is price elastic. When marginal revenue is less than zero, demand is price inelastice. When marginal revenue equals zero, demand is unit elastic. This No Bull Review video illustrates how this conceprt is linked to a firm selling output in an imperfectly competitive market such as a monopoly.